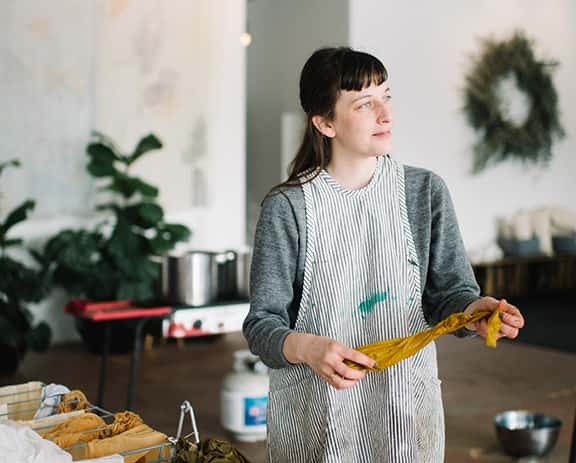 Megan Mesloh is a textile artist working primarily with weaving, natural dyes and surface pattern design. She received her BFA in textiles from the Oregon College of Art and Craft. With a focus on cloth making and manipulation, Mesloh explores the many potentials for fibers to transform in color, shape and form.